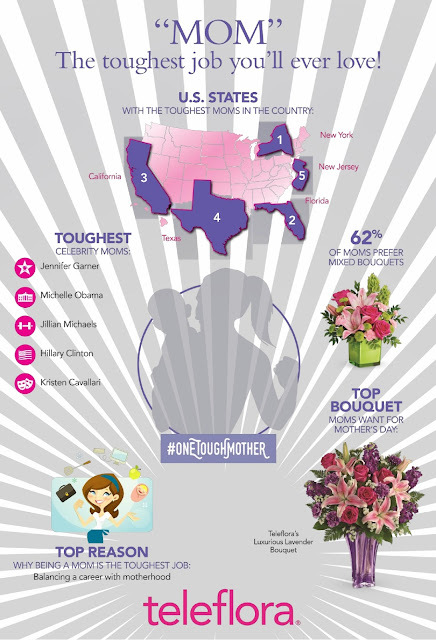 Honor #OneToughMother With @Teleflora This Mother's Day! I never appreciated my mother more than I did after I had children. I realized how strong, tough, amazing and hard-working she was/is (she had 8 children!) and I strive to be the same way for my children! I have definitely learned that each day as a mother is definitely not all hearts and roses but this Mother's Day it can be with Teleflora! 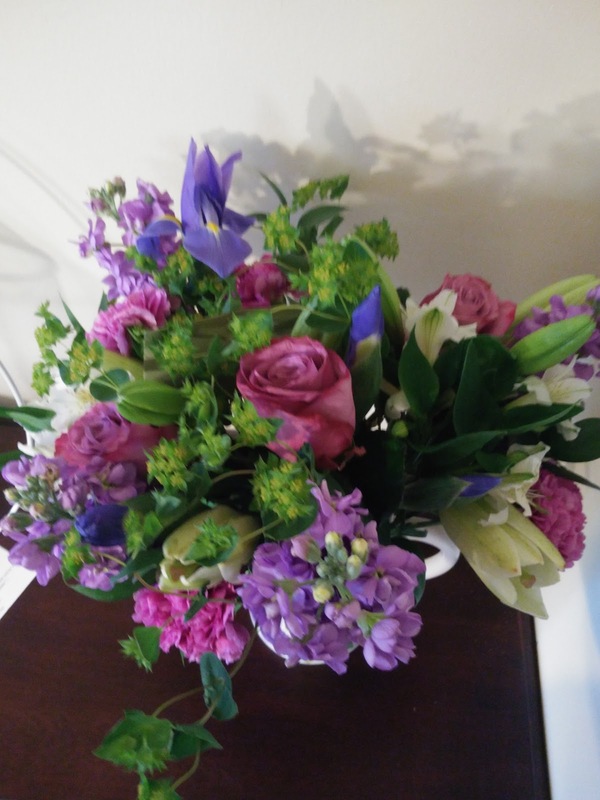 Each of their gorgeous Mother’s Day bouquets are professionally-arranged and hand-delivered by a local florist with love and care to capture the hearts and appreciation of every mother, grandmother, aunt, sister or friend. Teleflora’s campaign, “One Tough Mother,” would like to honor all Moms with flowers this Mother’s Day because they work a 24 hour 7 day a week job that’s incredibly rewarding but also tough. Check out this awesome tribute from Teleflora for all the tough moms out there! As a special tribute to moms everywhere this Mother’s Day, Teleflora’s “One Tough Mother” video ad celebrates the “tough, gritty, no pain-no-gain” job that moms take on every day. Its anthem, the famous words shared by the legendary coach “Vince” Lombardi and his “What It Takes To Be Number One” speech, honors its guiding principles about winning and success. The video ad features “real life” moms to maintain the authenticity of the campaign, which celebrates every “One Tough Mother” in your life…recognizing the strength, courage, perseverance, and infinite love that inspires us through her endless journey through motherhood. Motherhood isn’t always hearts and roses, but Mother’s Day can be with Teleflora. Throughout the days leading up to May 8th, moms and her children are encouraged to share their personal Mother’s Day stories on social media with #OneToughMother. 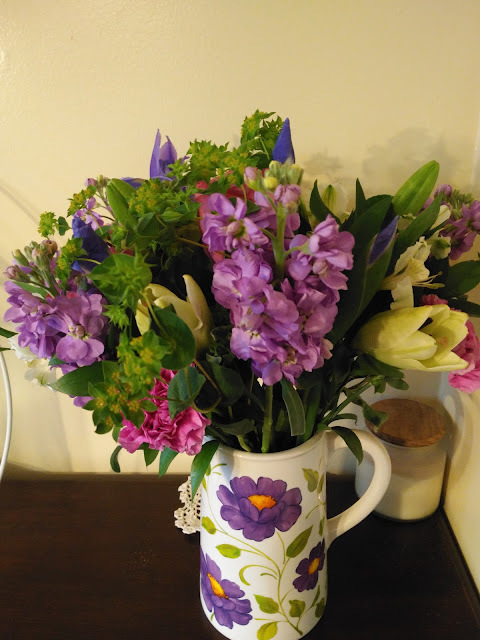 And to give me a little color into my every day life as a mother, I received the beautiful Teleflora’s Garden Pitcher Bouquet (Available on Teleflora.com for $69.95) that definitely put a smile on my face and brightened the rainy days! Motherhood isn’t always hearts and roses. Mother’s Day can be with Teleflora.